Realise your full singing potential with professional techniques for breathing, projection and control, harmonising, and spontaneous singing, all built around well-known worship songs. Each DVD offers 2 hours of professional vocal coaching. 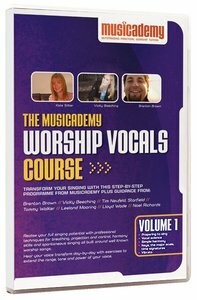 About "Musicademy: Worship Vocals Volume 1"